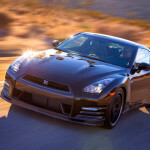 Nissan will be issuing a special 2014 GT-R Track Edition in the exclusive quantity of only 150 units for North American sales. 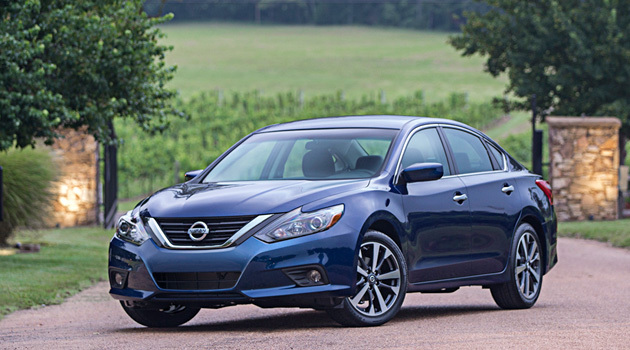 These cars are available for pre-order at select Nissan dealerships nationally, and will retail for $115,710 plus destination fees. For that, you’re getting one awesome little sport coupe. 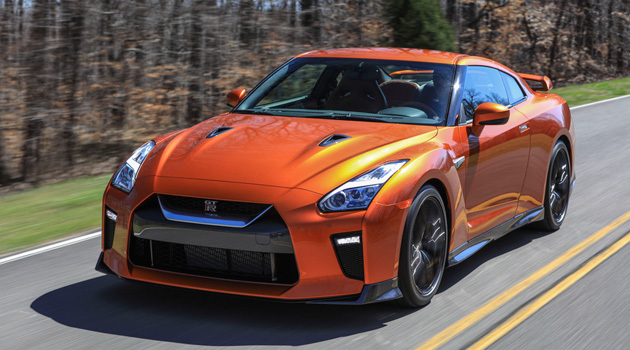 The 2014 Nissan GT-R Track Edition is a 545 horsepower street rod tuned specifically for track racing. 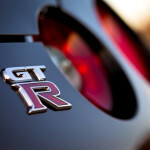 With a specially-tuned track suspension, special brake cooling guides, carbon fiber air ducts on the front spoiler, and a lightweight quilted cloth rear seat replacement, the GT-R Track Edition is as close to a competition track machine as you can get while retaining a street-legal license plate. 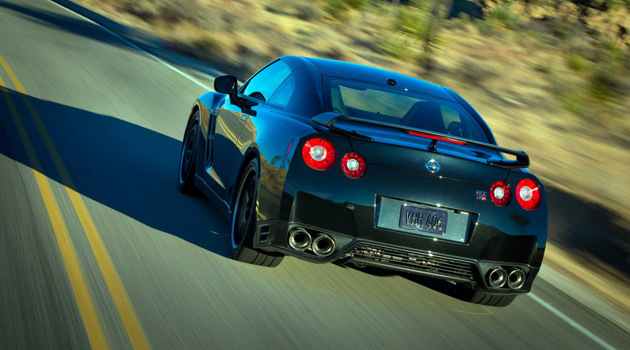 The GT-R Track Edition retains the same 4-wheel independent suspension used in the Premium and Black Edition of the GT-R, but adds specialization tuning to the Bilstein DampTronic gas pressure shock absorbers and higher-tuned spring rates for better on-track handling. 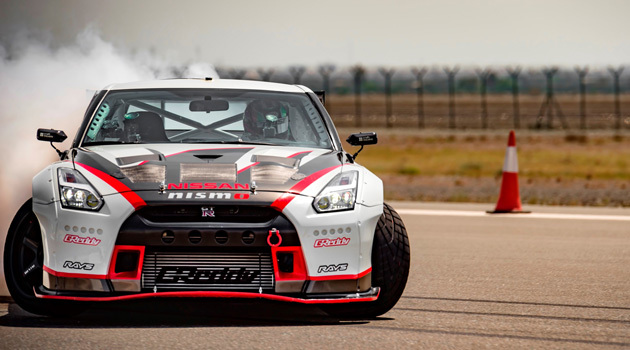 The suspension tuning took place after testing of the GT-R on the legendary Nurburgring track as development driver Toshio Suzuki put the GT-R through its paces on one of the world’s most challenging race circuits. Air guides for front and rear brakes were also added to this special Track Edition and further refined after rigorous testing on that track. Inside, the 2014 Nissan GT-R Track Edition has special blue-trimmed high-grip front seats with race-ready leather and fabric appointments. 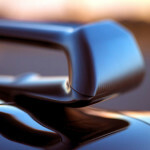 These are made to grip the driver and front passenger in tight corners and hard acceleration. On the exterior, the Track Edition is immediately identifiable thanks to its handmade, lightweight carbon fiber rear spoiler and metallic black six-spoke RAYS® forged lightweight wheels mounted with Dunlop® SP Sport Maxx GT 600 DSST CTT ultra high performance run-flat tires. 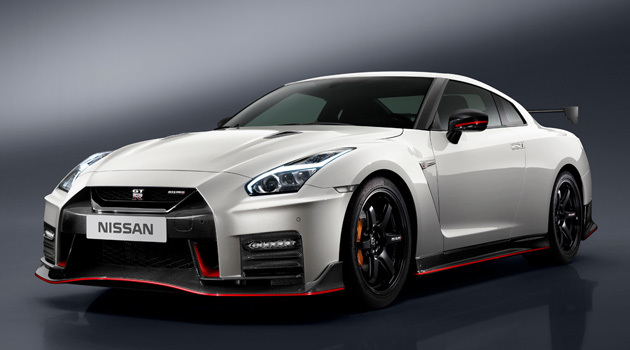 Both of these can be ordered and added to the Black Edition, but the Track Edition will have the spoiler specifically tuned to the car itself and the GT-R Track Edition badging on the car is exclusive to it. 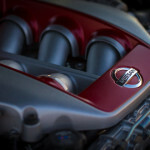 The 2014 Nissan GT-R is powered by a 3.8-liter V-6 that produces 545 horsepower and 463 lb-ft of torque, though unlike the 2013 model, it has new injectors that improve the torque range for the high side. Underneath, a new baffle in the oil pan stabilizes oil behavior under hard driving conditions (to reduce slosh while turning or braking) which in turn improves pressure and lubrication characteristics. 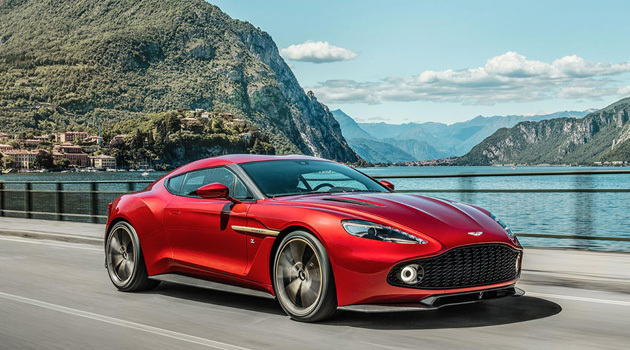 That powerful little engine pushes through a six-speed twin-clutch gearbox. 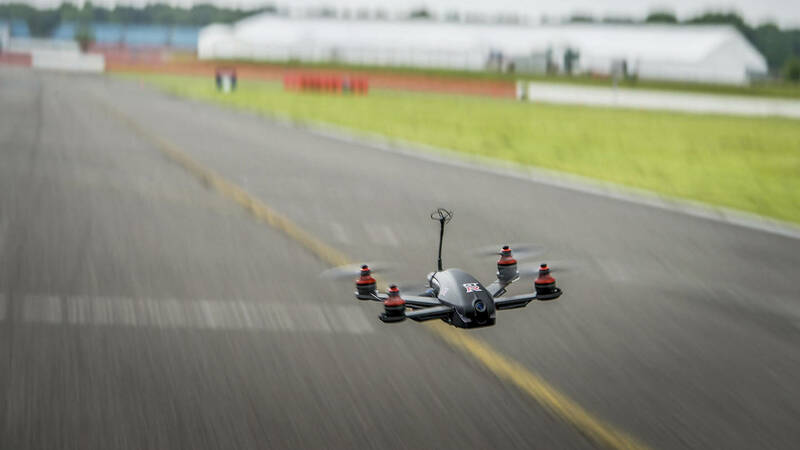 All of this translates to a screeching 0-60 time of just 2.7 seconds – faster than the 2012 McLaren MP4-12C and comparable to the 2013 Porsche 911 Turbo S. The awesome 2014 Nissan GT-R Track Edition pumps out a quarter mile in just 11 seconds. 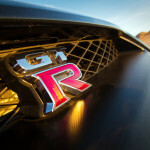 The air dampers help improve the other end as well, with the stop time from 60 mph happening in just 94 feet – far shorter than any of the other GT-Rs and a fair sight better than the Porsche. And while you’re doing all of that screaming, screeching, and brake burning.. the 11-speaker Bose sound system in that GT-R Track Edition will belt out the tunes in accompaniment. This is what a supercar is all about. Who’s Looking Forward To Gran Turismo 6?